He hinted, then teased (see video above), and now he finally revealed. Ubisoft Toronto's very first employee, Derek Lebrero, announced on his Facebook page the location of the company's new studio. 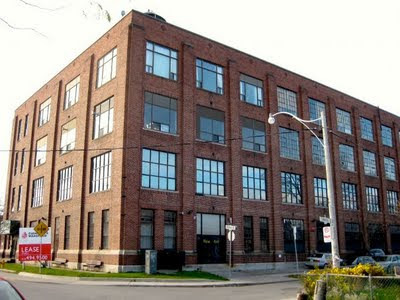 Ubisoft Toronto is officially making 224 Wallace Ave. their new home. You can see where that is in relation to the downtown core on Google Maps here. The building is located on the west-end of Toronto, just north of the Landsdowne subway stop. Want to see what the new studio looks like? Hit the jump for a photo. Hmmm, should I be worried? I live about 10 blocks away.